The 1.11 patch for Arma 2. The 1.10 patch for Arma 2. 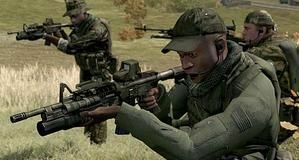 The patch version 1.00+ to 1.09 cumulative update for Arma 2. Here's a playable demo for ArmA II. The EW hotfix for ArmA II. You must have patch 1.05 installed or this hotfix won't do anything. See file details for a list of changes. The 1.05 patch for ArmA II. See File Details for a list of changes. The 1.04.61974 beta patch for ArmA II. See File Details for a list of changes. The 1.04.61450 beta patch for ArmA II. See File Details for a list of changes. The 1.04.61062 patch for ArmA II. See File Details for a list of changes.